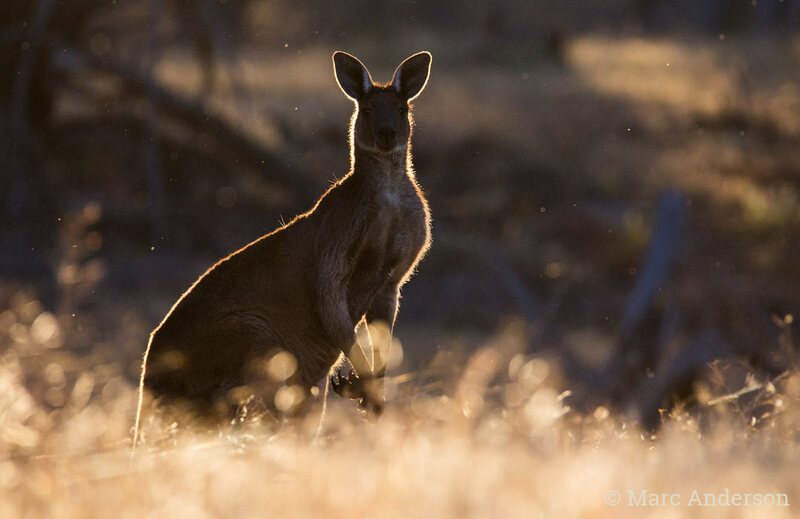 Of the 50 or so species of macropod found in Australia, most are very quiet. 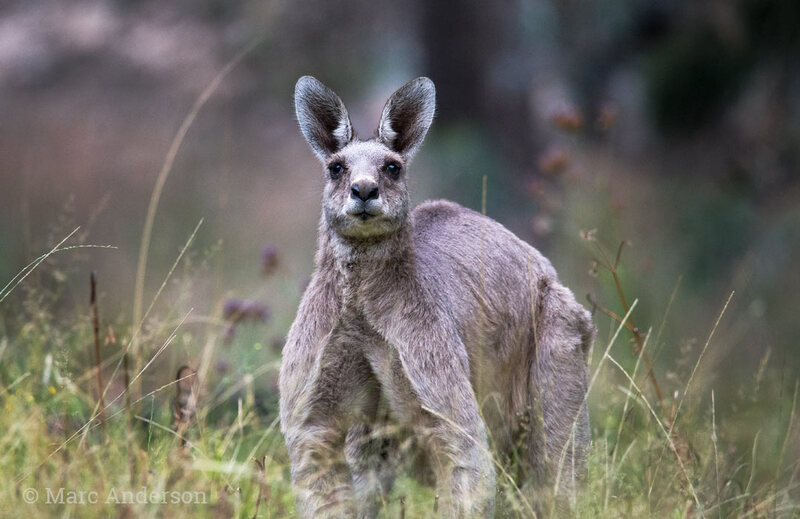 However both the Eastern Grey Kangaroo (Macropus giganteus) & Western Grey Kangaroo (Macropus fuliginosus) have been documented making a range of sounds. These two species are distributed widely across the continent and are abundant in many areas. Males of both of these species make loud ‘coughing’ growls or barks, often when fighting over females. You can hear some samples of these sounds below. Also, male Eastern Grey Kangaroos have been documented emitting soft clucking sounds when interacting with a female. Mothers make a similar sound when communicating with their joeys. 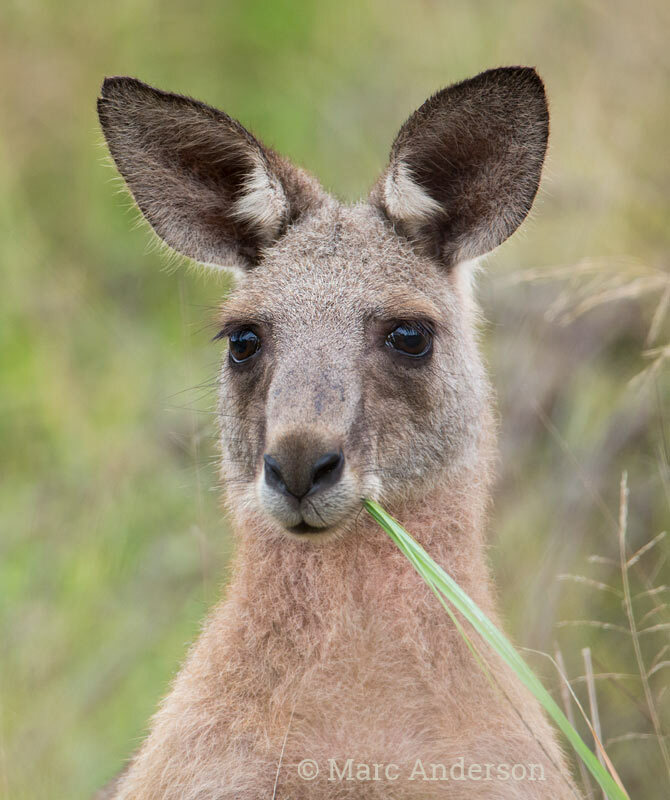 Perhaps the most commonly heard noise made by a kangaroo is the sound of it’s feet thumping the ground as it bounds away! Listen to an example of this in the third sample below. EGK01 This first recording features the typical loud coughing growl of a male Eastern Grey Kangaroo (Macropus giganteus). Recorded in Capertee National Park, New South Wales. WGK01 This is a series of similar calls from two male Western Grey Kangaroos (Macropus fuliginosus) which were fighting. Recorded at Dryandra woodland, Western Australia. WGK02 The following sample features the thumping sound and breathing of a Western Grey Kangaroo as it bounces past the microphones. Recorded in Wyperfeld National Park, Victoria.